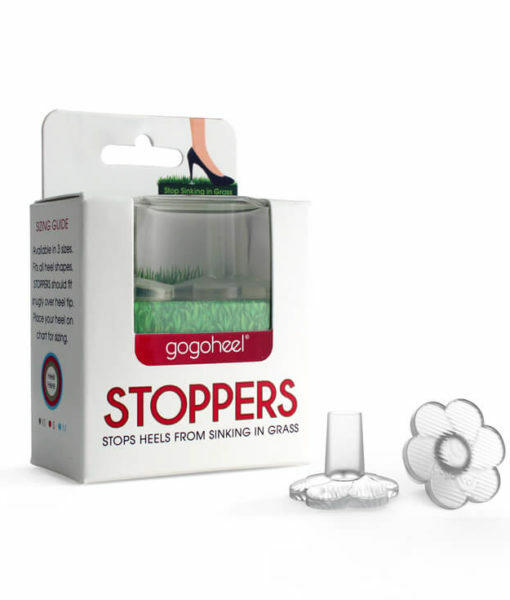 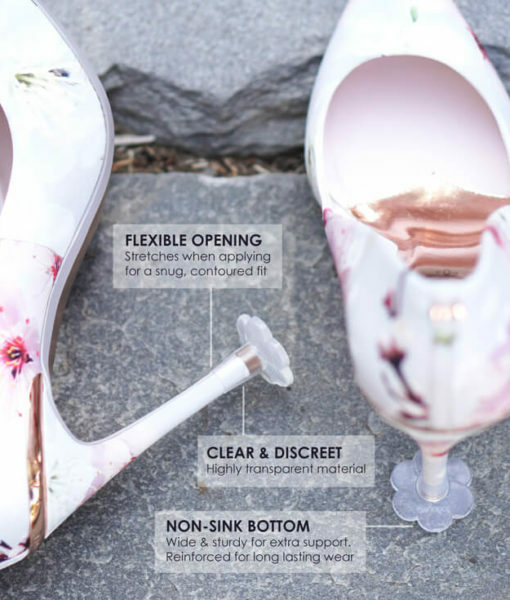 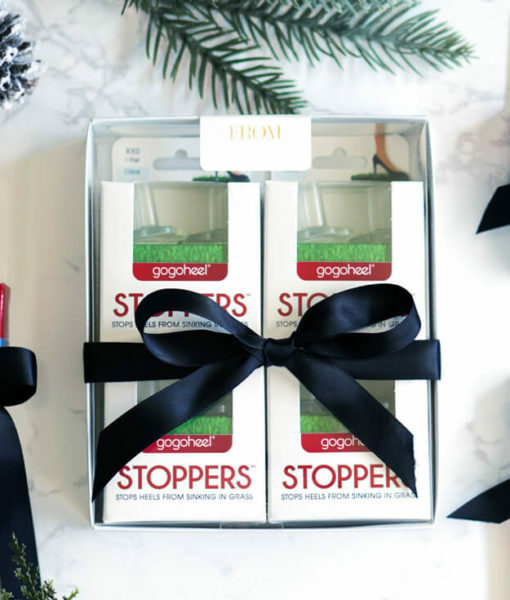 STOPPERS™ are extra clear heel protectors that stop your high heels from sinking into grass & slipping between cracks. 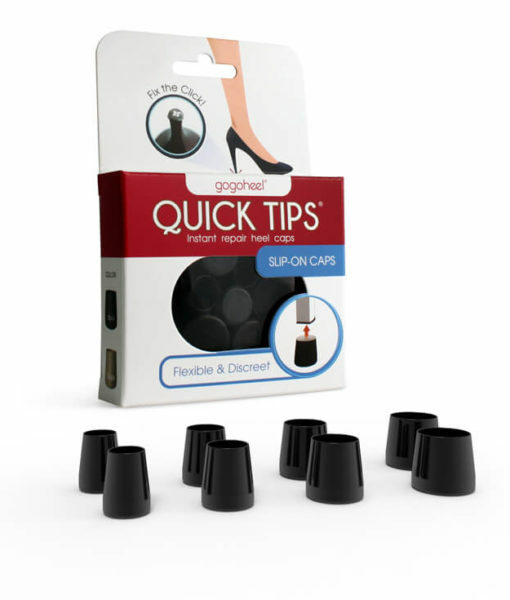 Works by increasing the surface area of your heel tip to diffuse pressure & provide stability. 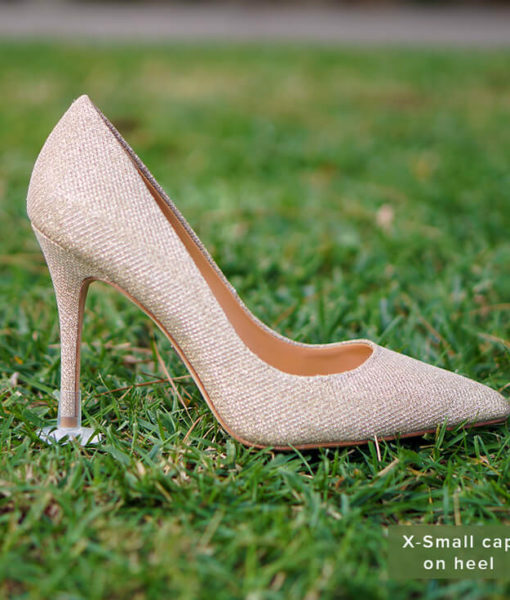 Perfect for outdoor weddings. 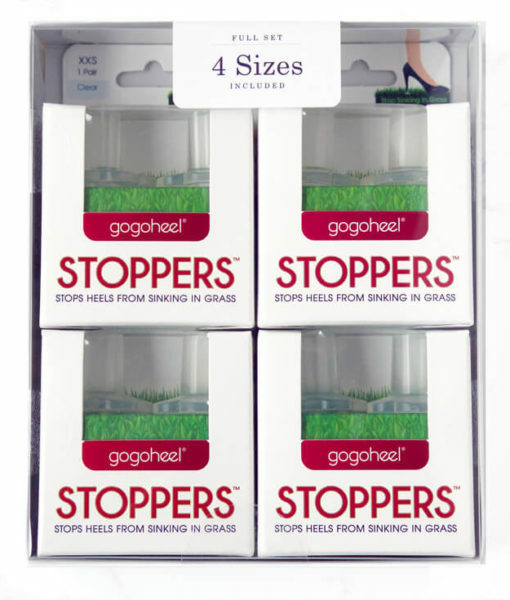 This family pack includes all 4 sizes, eliminating any sizing issues. 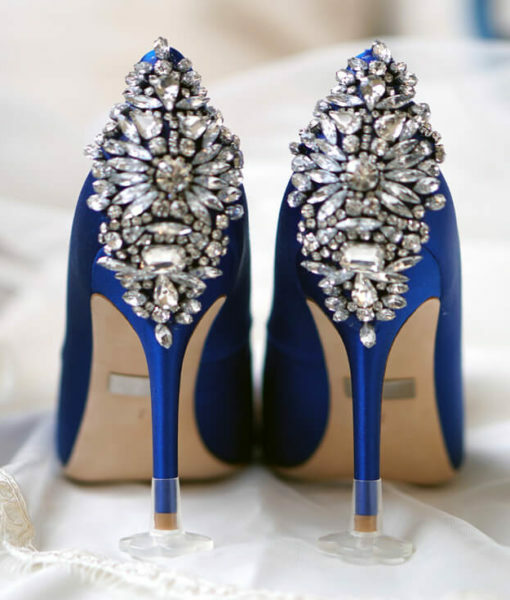 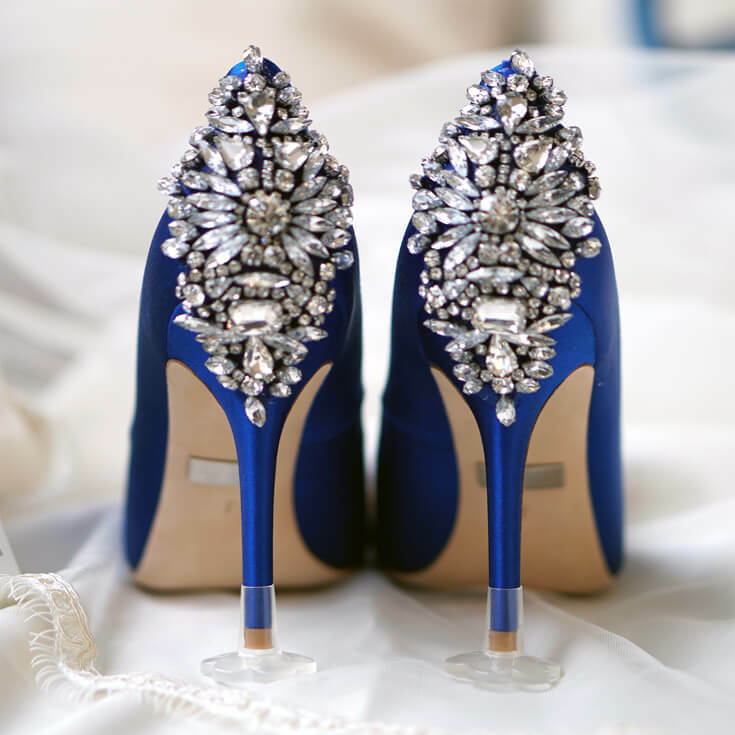 Great gift for newly engaged brides, office gift exchanges, and shoe lovers! 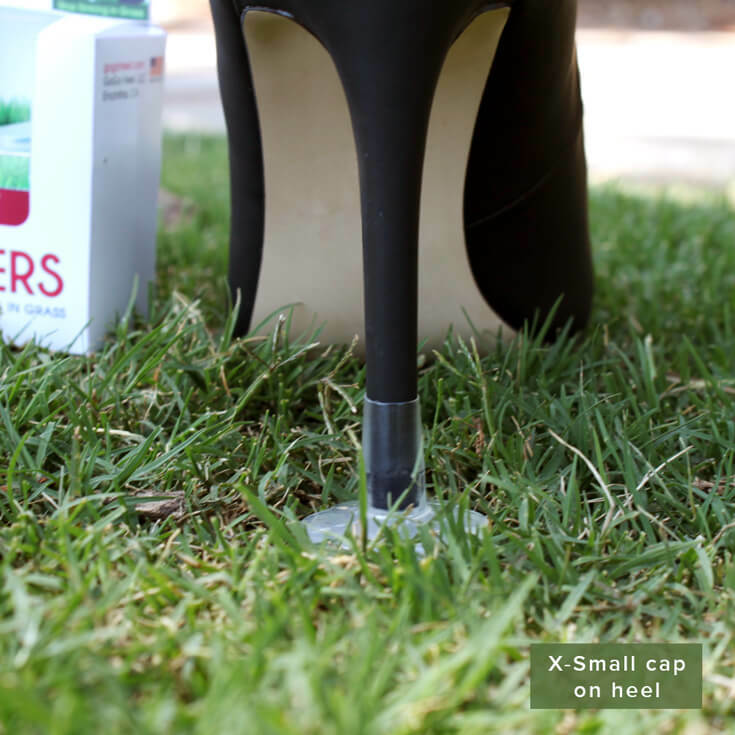 Planning an outdoor event? 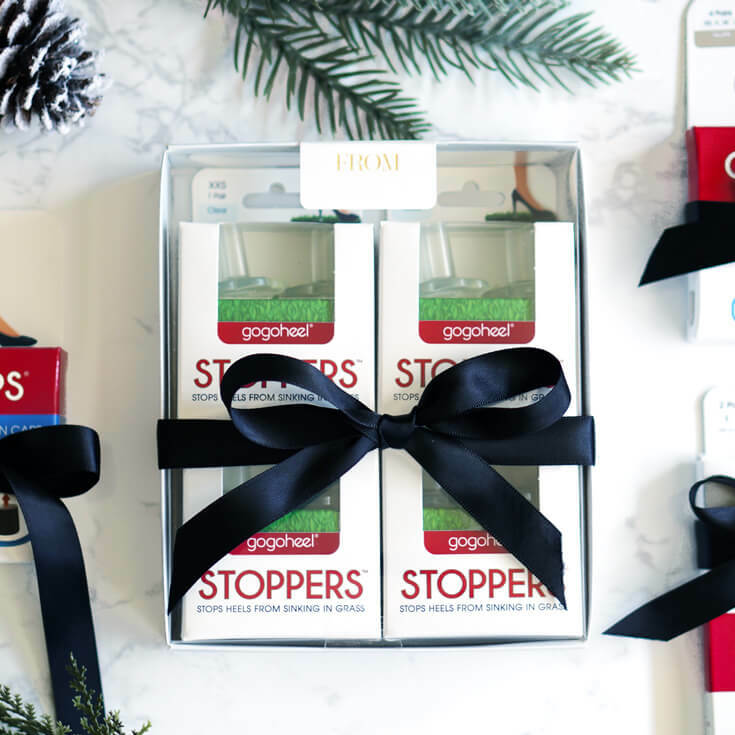 Enjoy 20% off bulk orders. 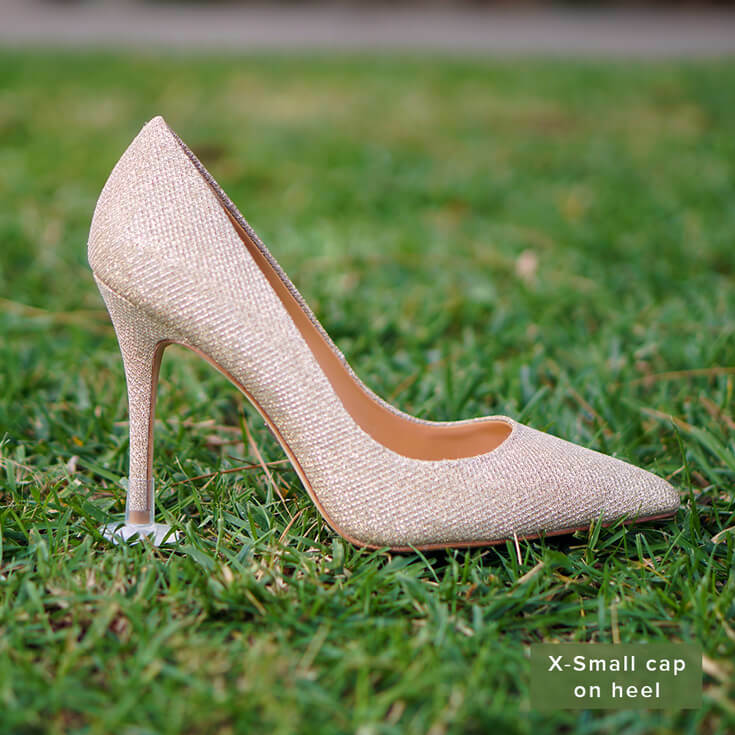 Measure your heel using a ruler, ruler app on your phone, or measuring tape. 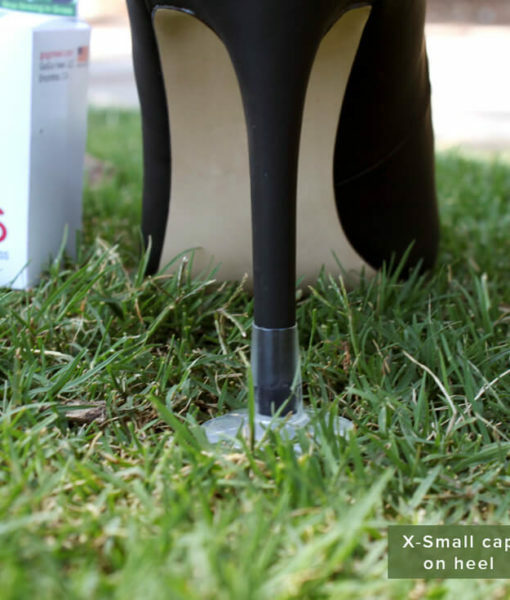 Precisely measure to the nearest millimeter (mm). 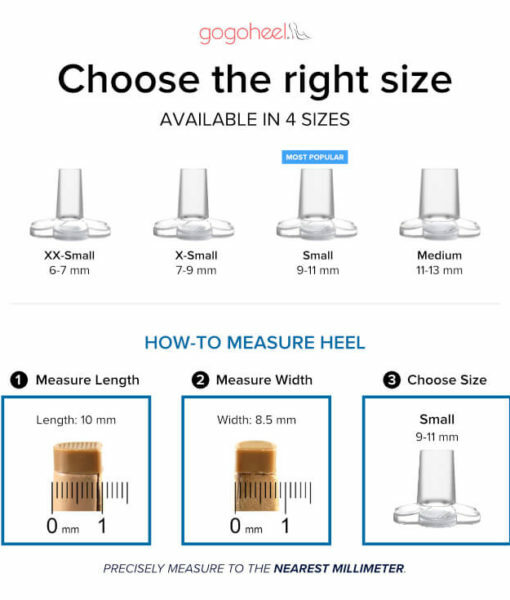 Or print sizing guide and place your heel on the sizing rings. 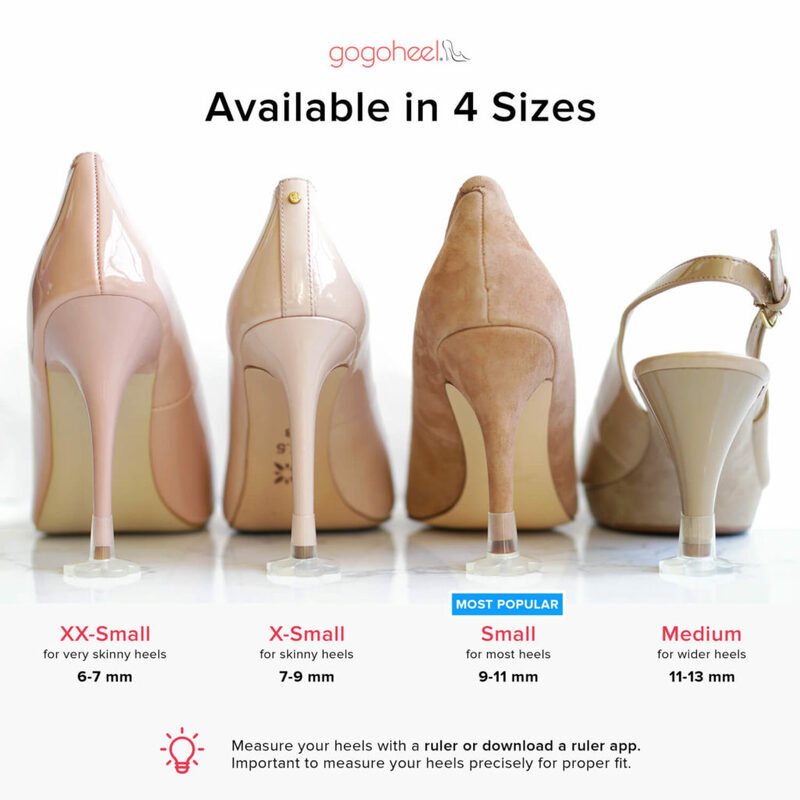 Find the right size. 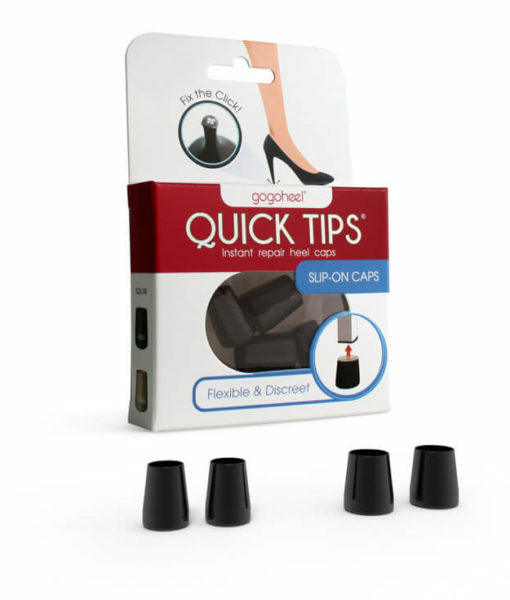 Then, slip STOPPERS over your heel tip. 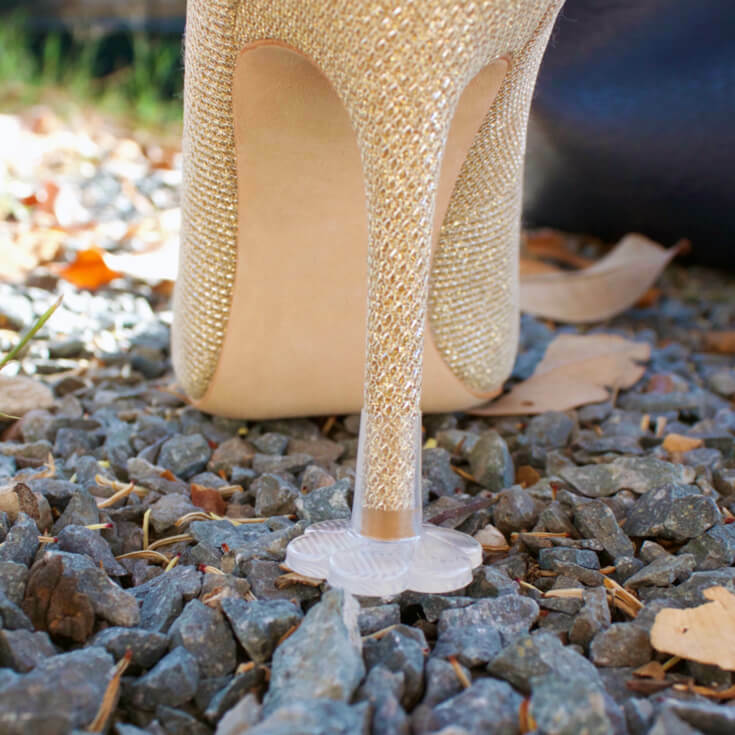 Push it in all the way to secure in place. 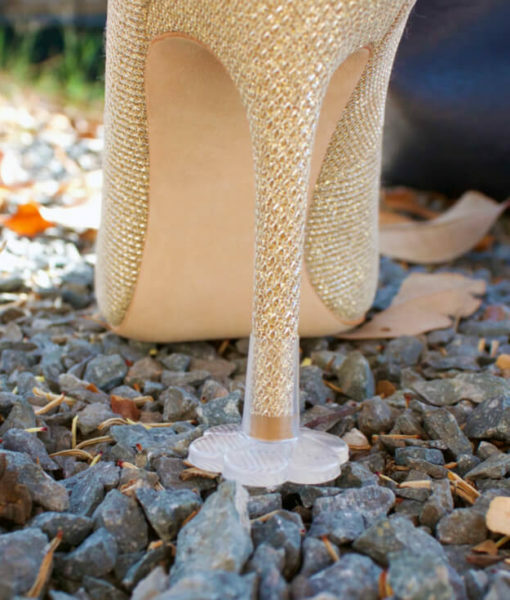 To Remove: Twist it off, like removing a wine cork. 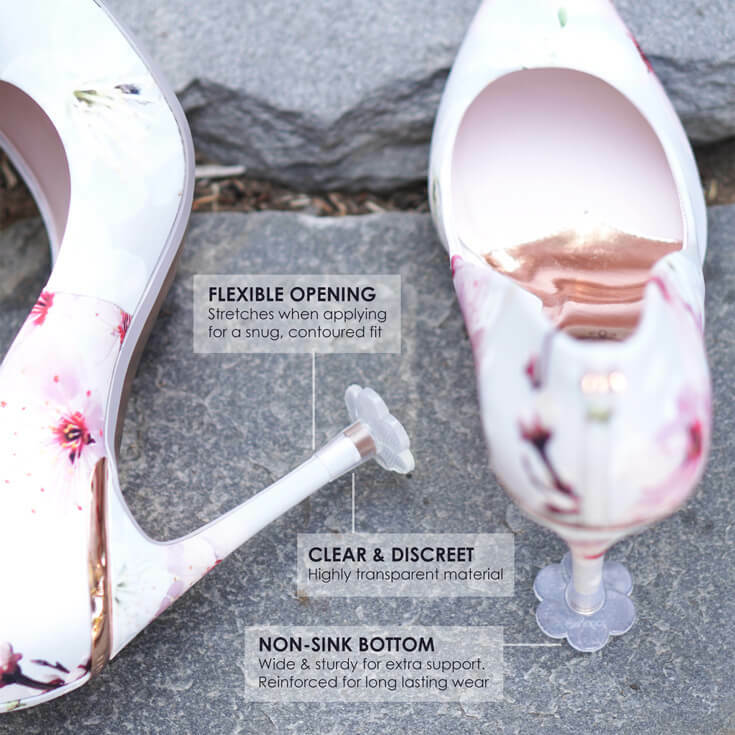 Bottom is reinforced with extra layers which prevents warping & breaking. 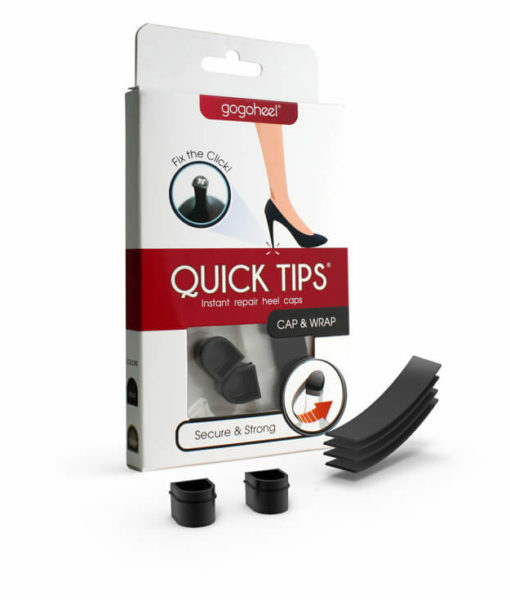 Thicker, rigid bottom provides extra durability, so it can be reused again & again. 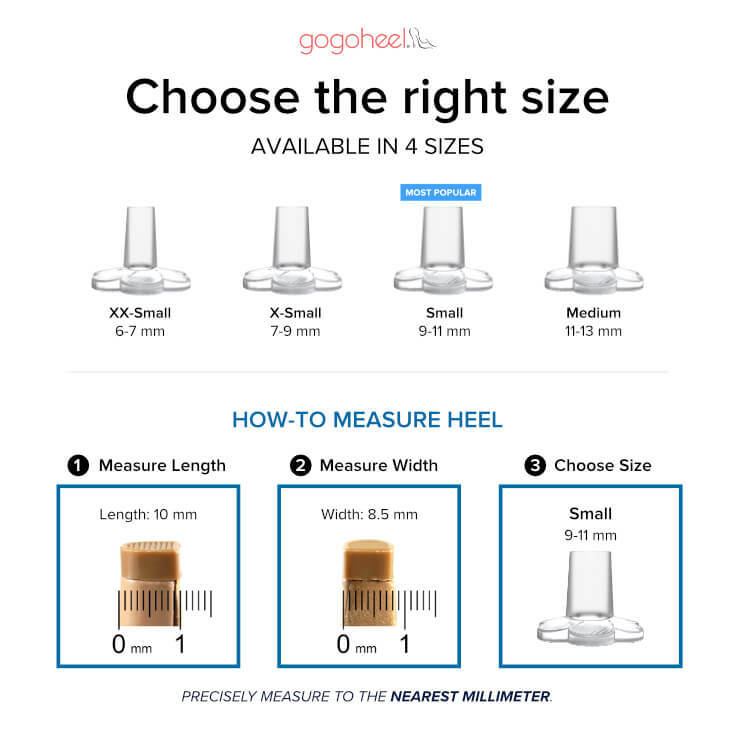 Measure the heel tip (not rubber tip).